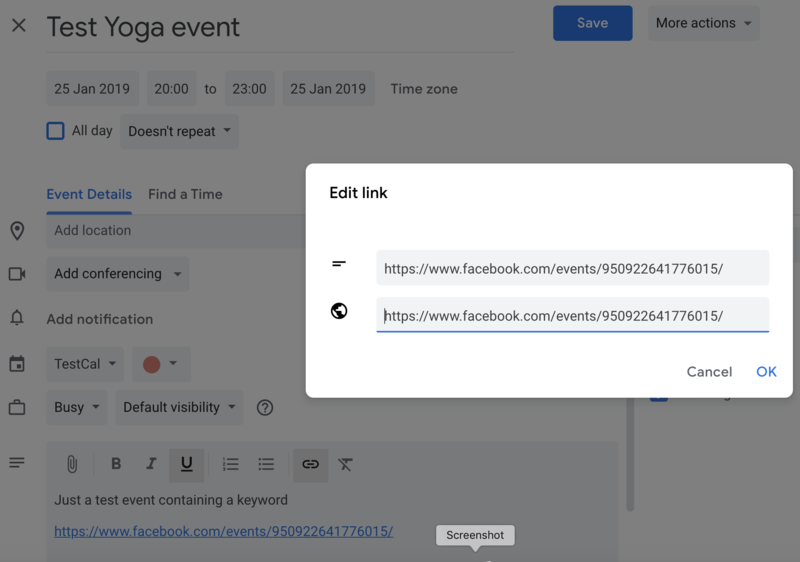 The Facebook event links that are coming across as part of the imported event data using the Checker Plus extension are being created as TEXT and not as a LINK. 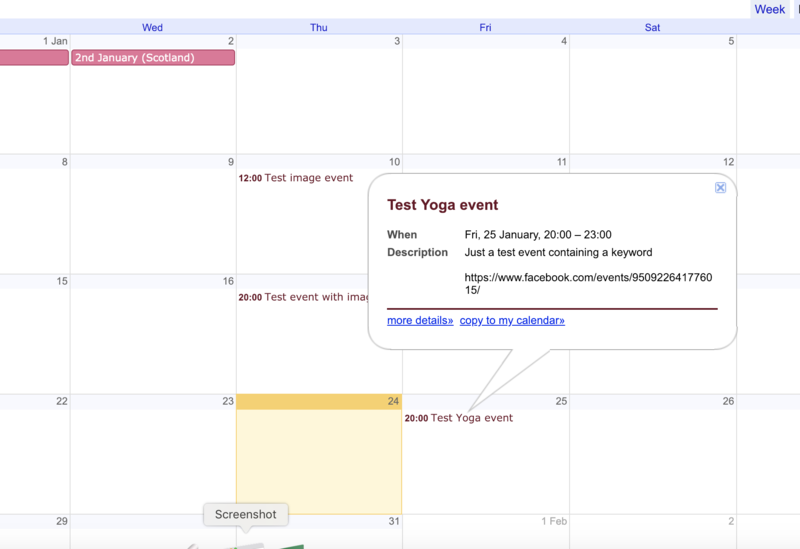 As the text is a fully qualifying URL it automatically changes to a link in the new Google Calendar. However it simply remains as TEXT on any embedded Google calendar. All my previous and any new manually created Google Calendar entries using the [Link] button on the editor works in both the Google Calendar and the Embedded Google Calendar. 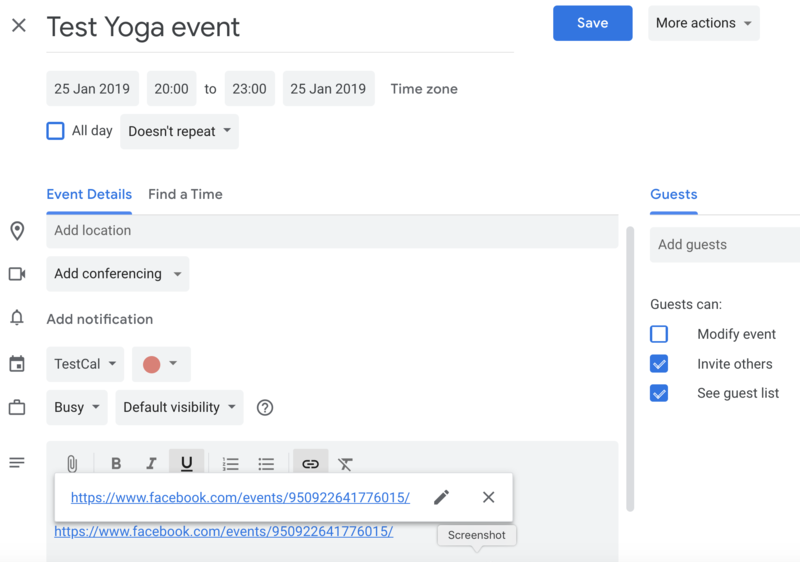 Is it possible to change the Checker Plus import code to create <anchor> tags for Facebook event links instead of plain text? Excellent bug identification and screenshot :) I will queue this for development thank you. I have just noticed something unexpected. 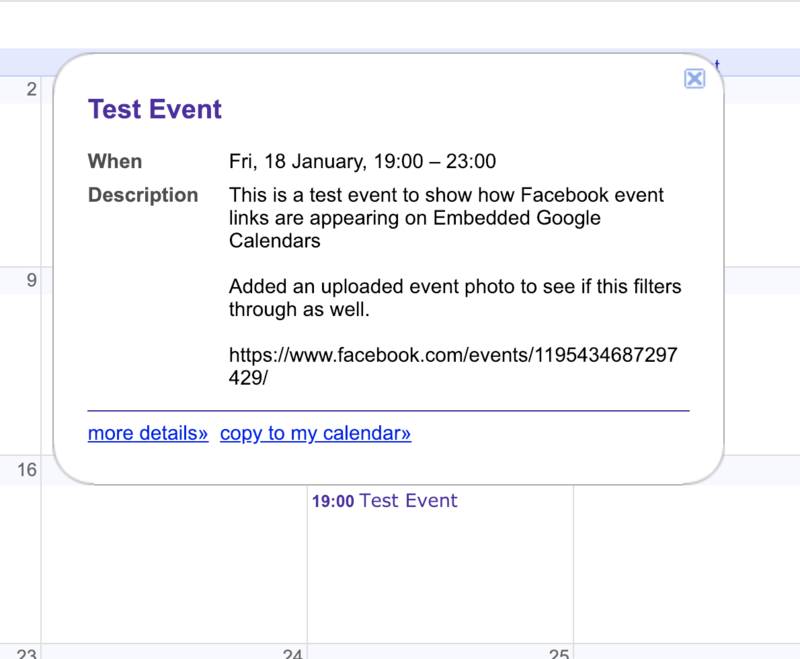 When I went to manually editing one of the importing Facebook events using my Google Calendar (not the Checker Plus popout) the link that came across as part of the import appears as you would expect it to in Google Calendar, even though it appears as TEXT in the embedded version. I then went to manually edit the link to see if I could force an update to the embedded calendar and this is exactly what happened. 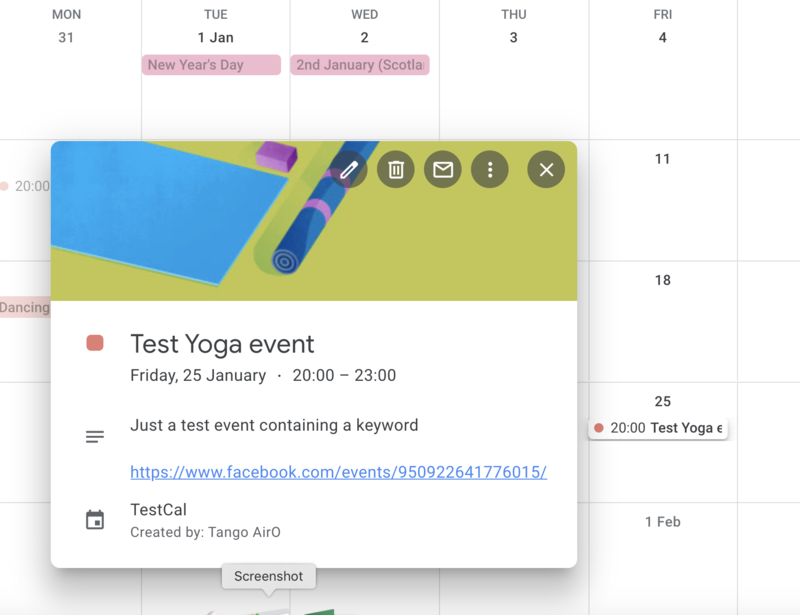 Also if the event being edited has multiple links within it following the above procedure on a single link with automatically update all the links in the calendar event and they will all become URL links on the embedded calendar. So manually selecting and editing a link seems to refresh the entire calendar event and any links within it are somehow stored correctly after the edit whether we change anything or not. 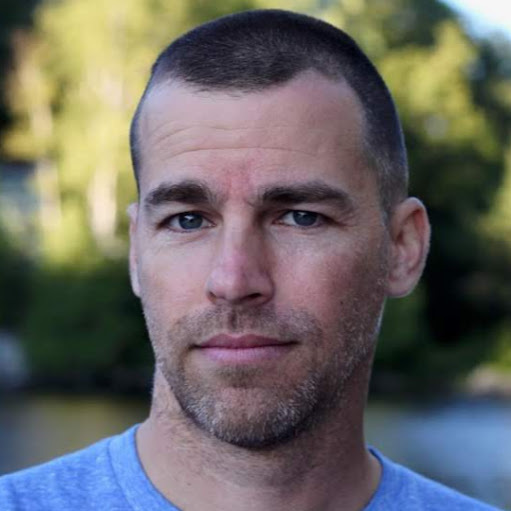 This probably does not change anything as far as your development is concerned, but I thought it is worth pointing out to anyone who is looking for a workaround in the meantime. 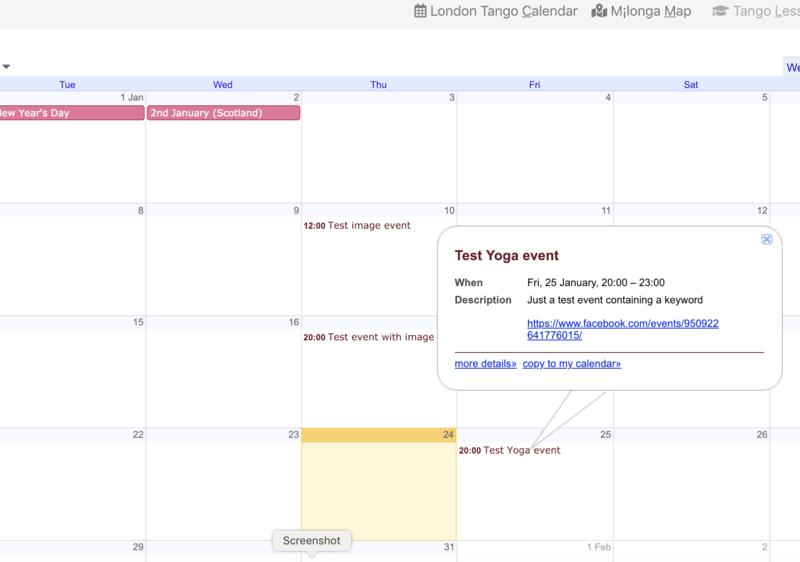 However this workaround is extremely tedious for calendars that have tonnes of events and we cannot expect nor rely on contributors to use a workaround.